Blondie and Brownie: Have You Nominated Your Favorite Vendor for a Vendy Yet? Have You Nominated Your Favorite Vendor for a Vendy Yet? We love the Vendys. Not just for the awesome food and the fun day of eating and drinking, but also for what the Vendys stand for—they’re the primary fundraiser for the Street Vendor Project. Part of the Center for Urban Justice Center, the Street Vendor Project is a 501(c)(3) nonprofit organization that provides a voice for the thousands of people who sell food and merchandise on the streets of our city. It also means that a portion of your ticket is tax deductible—pretty sweet. Popularly known as the “Oscars of street food” the Vendys is a pretty darn big deal in the food world, but what’s so special about the event is that it recognizes the vendors and puts all of their hard work and dedication on display. Over the past two years of researching and writing our cookbook we’ve had the chance to collect amazing stories and recipes from a number of Vendy finalist and winners. 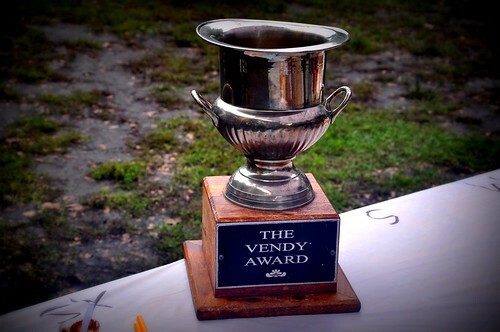 Anyone that hasn’t won the Vendy Cup (or category Vendy i.e. Desserts) can compete again. From just the finalists listed above there are a ton of vendors that are more than worthy of another chance at the big cup. Regardless of whom you nominate, do it and do it soon! Noms close on June 15th. Show your favorite vendor some love. And though the big day might be 3 months away, the event does sell out, so buy your tickets now. Early bird tickets are already gone. Don’t wait until they announce the finalists because you might be shut out as well!